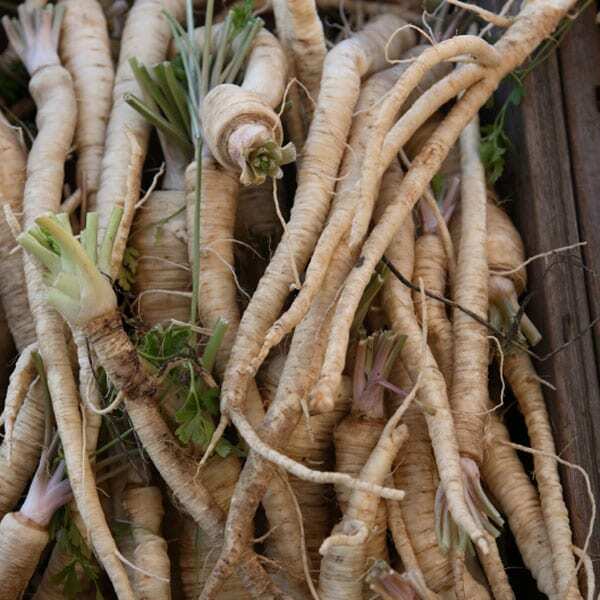 This unusual root vegetable is pale, thin and looks a lot like a parsnip. It can be cooked in much the same way as any other root vegetable – try roasted, boiled or added to soups and stews. Both white and black varieties are available and it also goes by the name of the oyster plant because it tastes slightly of seafood.